This is a coin operated model that is built for professional and tournament play. Much like the story behind the Warrior table brand, the Fireball was also build and informed by actual professional players with a passion for the game. Yet, it doesn't fall at the lower price point of the Warrior that is designed as a home model. 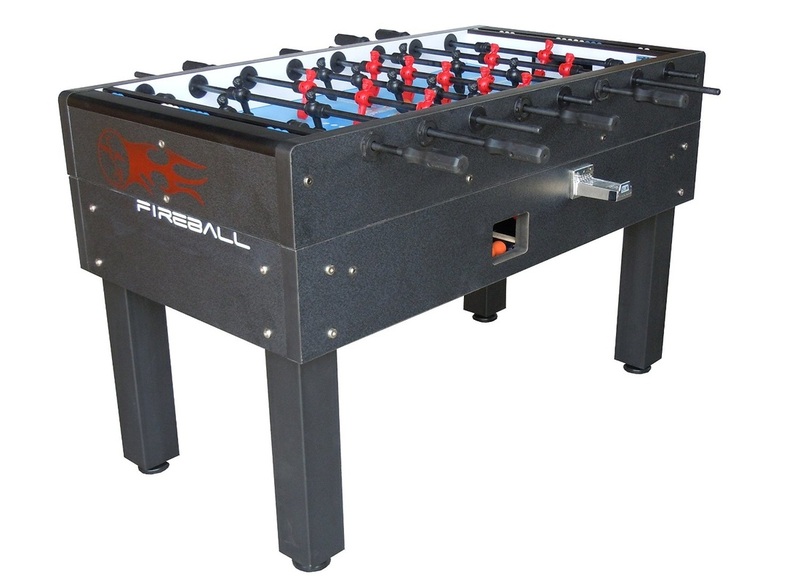 This is constructed in order to compete with the other American style foosball tournament brand, Tornado. It offers superior ball control and premium quality parts that most manufacturers cut corners on. This table is priced at around $1,900 US. This table is rated 5 out of 5 foosballs.